Overall length is 30″ – 24″ and 36″ also available. 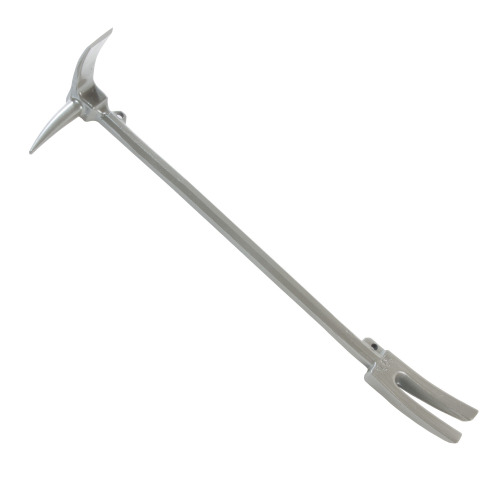 This is a fully forged, octagonal, halligan (similar to a Pro-Bar). Made of a high strength metal alloy, this is the firefighters choice for forcible entry. Council Tools has been in business for many years. Council Tool Company is as much about people as it is about tools. After all, it’s people who design the tools and manufacture and market them. The employees at Council Tool are hard-working Americans who take great pride in their work. Our employees have the skills, experience and dedication necessary to produce the quality and value you’re looking for. Council Tool employees, as of 2016, cumulatively have 500 years of tool-making expertise.